Ingredients: Freshly cleaned and frozen jack fruit seed. This is to declare that the jack fruit seed is prepared by the following procedure. 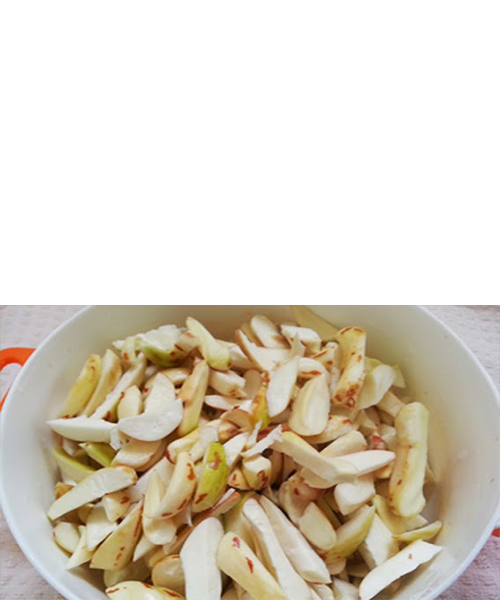 This jack fruit seed is sort out then cleaned and peel the outer skin then wash with fresh water and cut into small pieces.